These Helmar "Silk Premium Advertising Banners" used the same high quality printing on silk technology as the smaller dimension silks. Produced in quantities of just (25) each, these gorgeous banners measure in at a full 25 x 38". 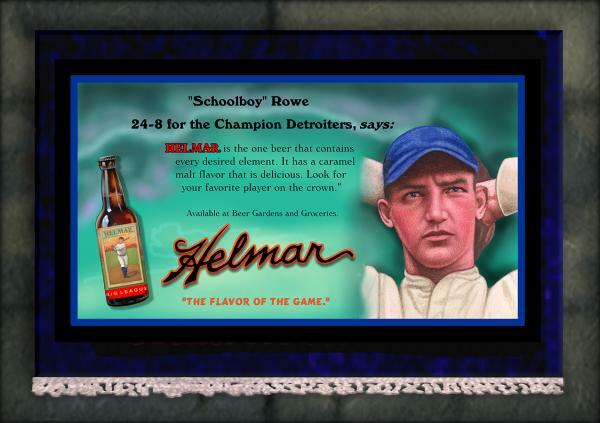 The accompanying text touts Helmar's "Big League Brew" and includes the image of a bottle.